Use the discount code CORSAR_5 and get an additional 5% discount! 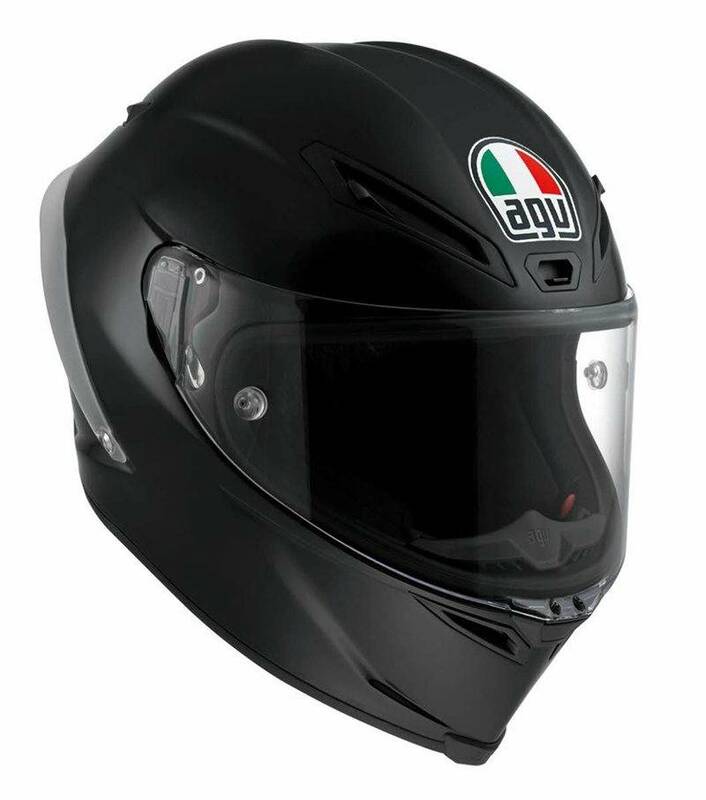 Buy the AGV Corsa R in our Shop and get: ✓Best price ✓Free shipping ✓5% Cashback ✓Fast delivery ✓Order now! Scroll down and use the product bundle get a Free Additional Visor! 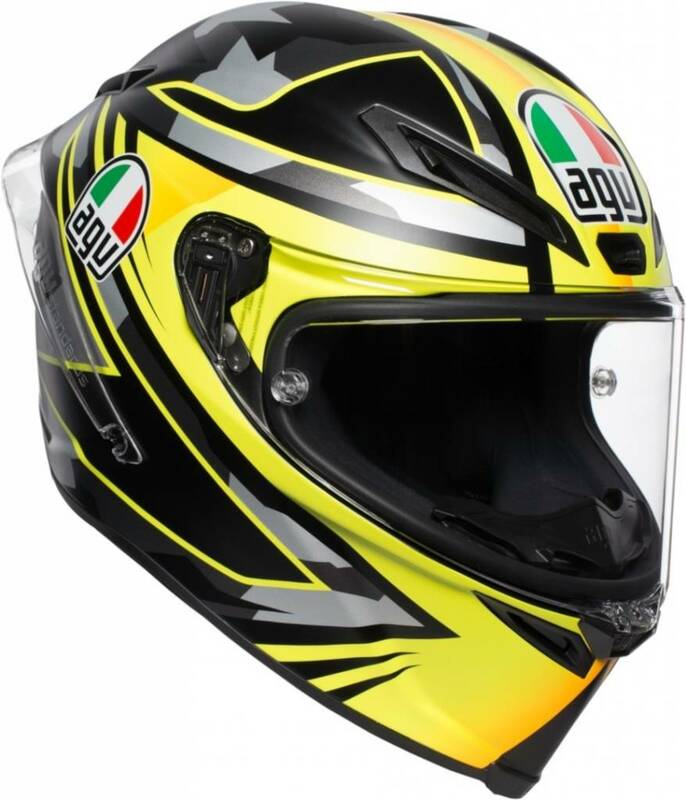 Buy the AGV Corsa R Helmet in our Online Shop and get ✓Best price ✓Free shipping ✓5% Cashback ✓Fast delivery ✓Order now! Use the Product Bundle and get a Free Additional Visor! 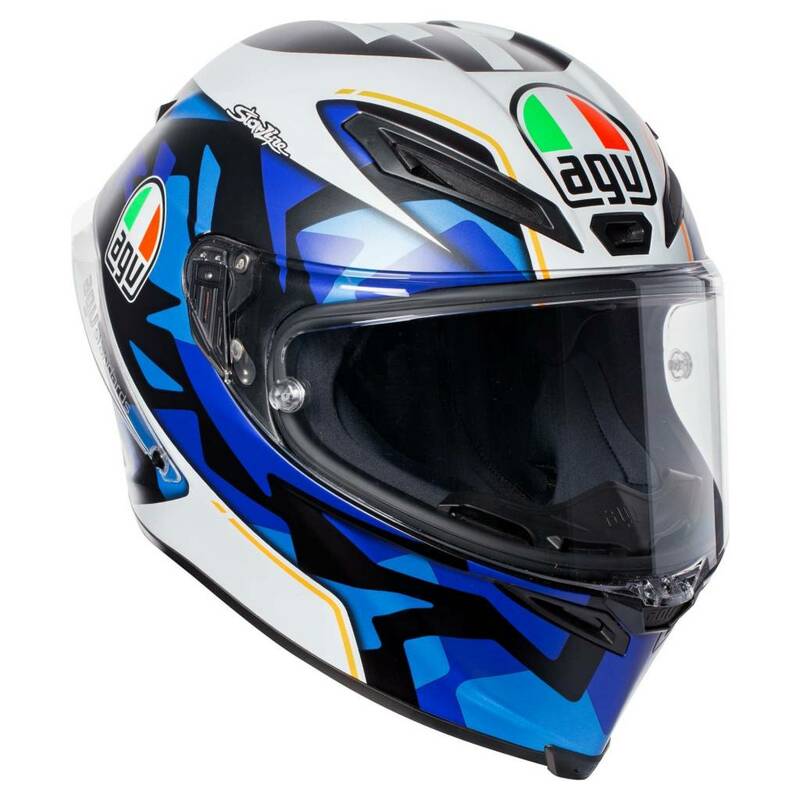 Buy the AGV Pista GP R in our Online Shop and get ✓Best price ✓Free shipping ✓5% Cashback ✓Fast delivery ✓Order now! 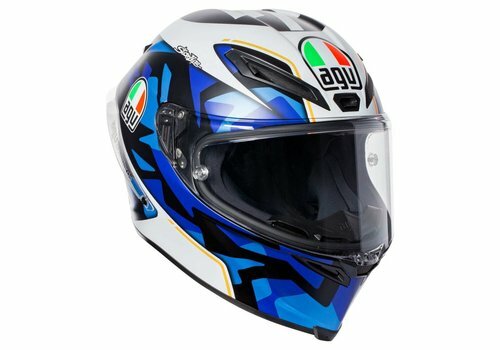 Buy the AGV Corsa R Mir Winter Test 2018 Helmet and get a Free Visor! Scroll down and choose the product Bundle to get the free visor. ✓Best price ✓Free shipping ✓Earn Cashback ✓Fast delivery ✓Order now! 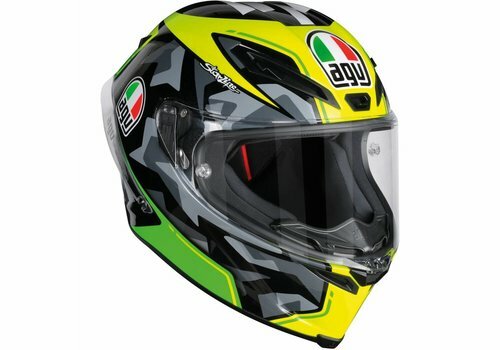 Buy the AGV Corsa R Capirex Helmet and get a Free Visor! Scroll down and choose the product Bundle to get the free visor. ✓Best price ✓Free shipping ✓Earn Cashback ✓Fast delivery ✓Order now! ✓The best price ✓free shipping ✓quick delivery ✓Order now! 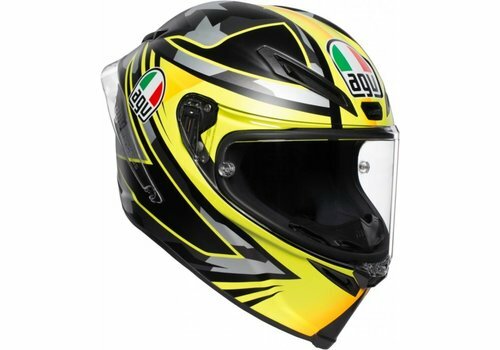 Buy the AGV Corsa R Casanova Helmet and get a Free Visor! Scroll down and choose the product Bundle to get the free visor. ✓Best price ✓Free shipping ✓Earn Cashback ✓Fast delivery ✓Order now! 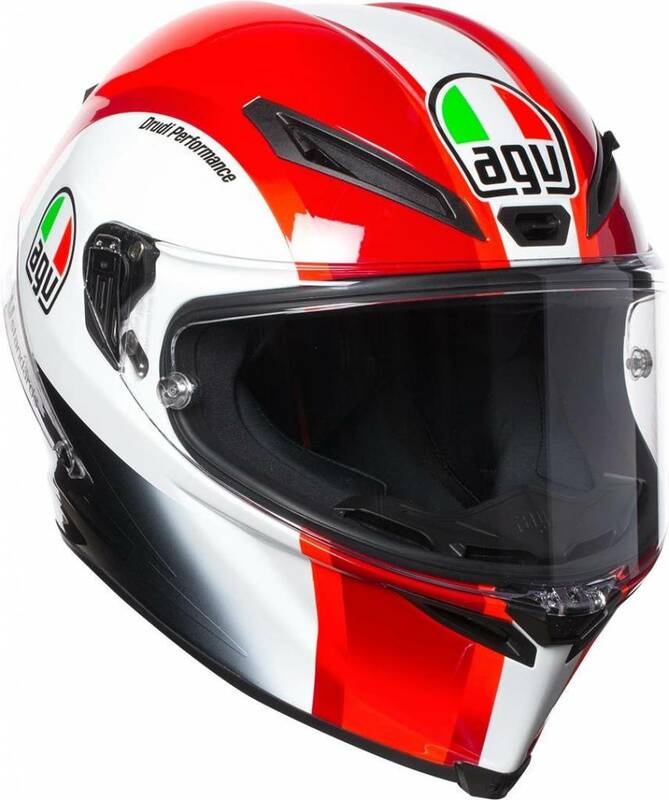 The AGV CORSA R is the successor of the popular AGV Corsa. 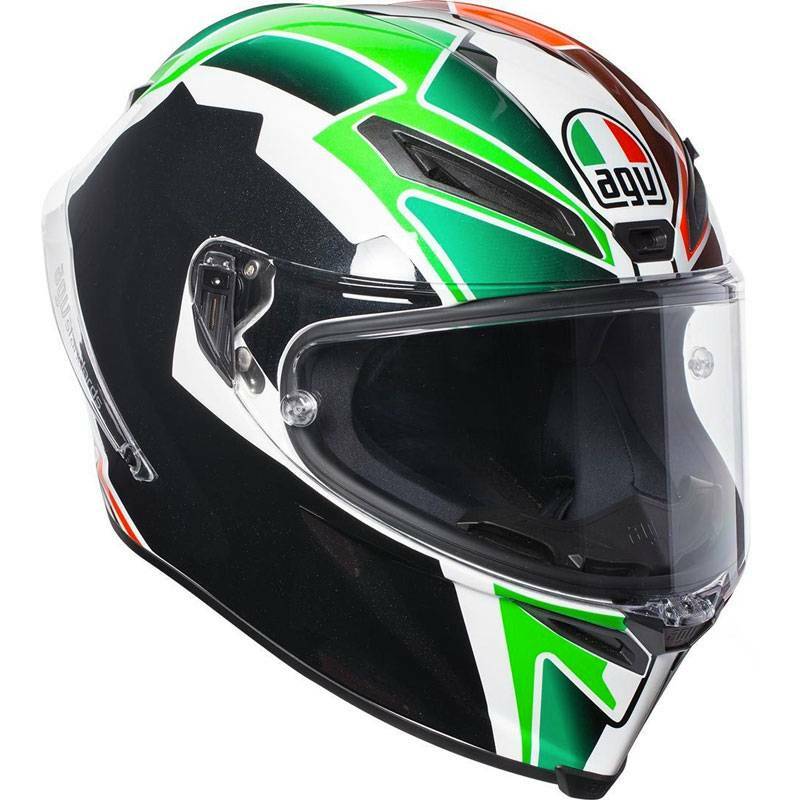 The Corsa R is comparable to its counterparts Shoei NXR, HJC R-PHA 11 and the Shark Race R pro. 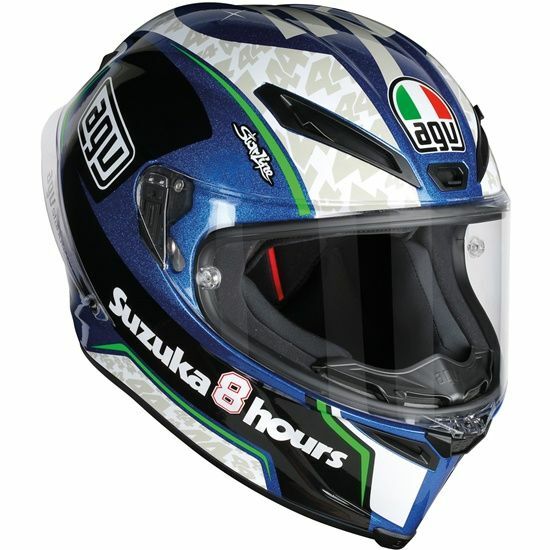 It is a helmet that is perfect for both the track and the street. 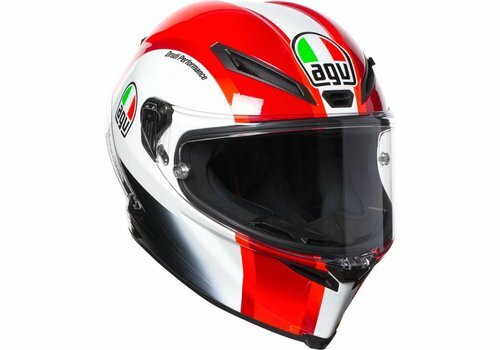 The AGV Corsa R has been improved on many points with respect to the AGV Corsa. 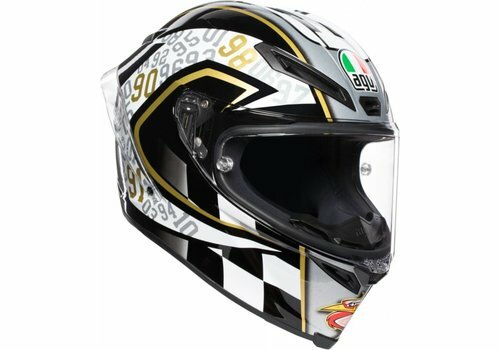 The helmet shell consists of a carbon, kevlar and composite mix. The air inlets can be operated while riding. 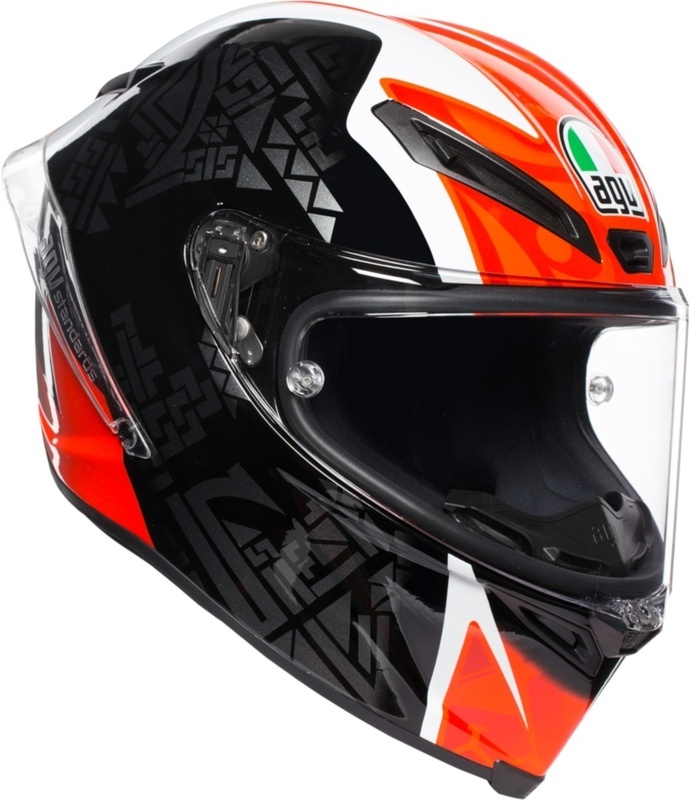 The lining is adjustable depending on the preference of the rider. The Corsa R shell is extremely strong and light at the same time. It comes in 4 different shell sizes. The inner lining can be adjusted for the perfect fit, which contributes to safety. 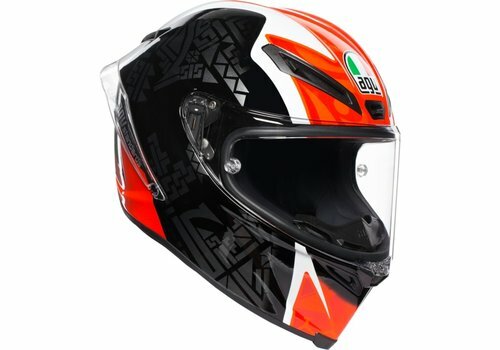 The helmet is designed to minimize impact to the collarbone in the event of a fall. The inside of the shell is of multiple density EPS, to absorb different impact scenarios. 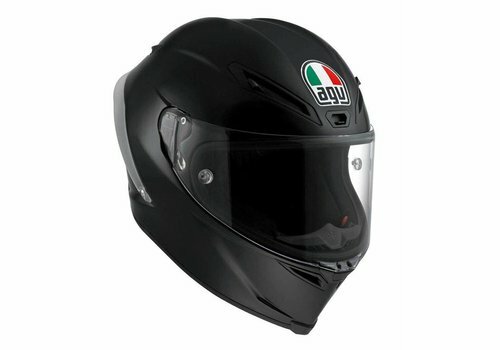 Thanks to the Quick Release System, the liner can be quickly and easily removed from the helmet shell in an emergency. 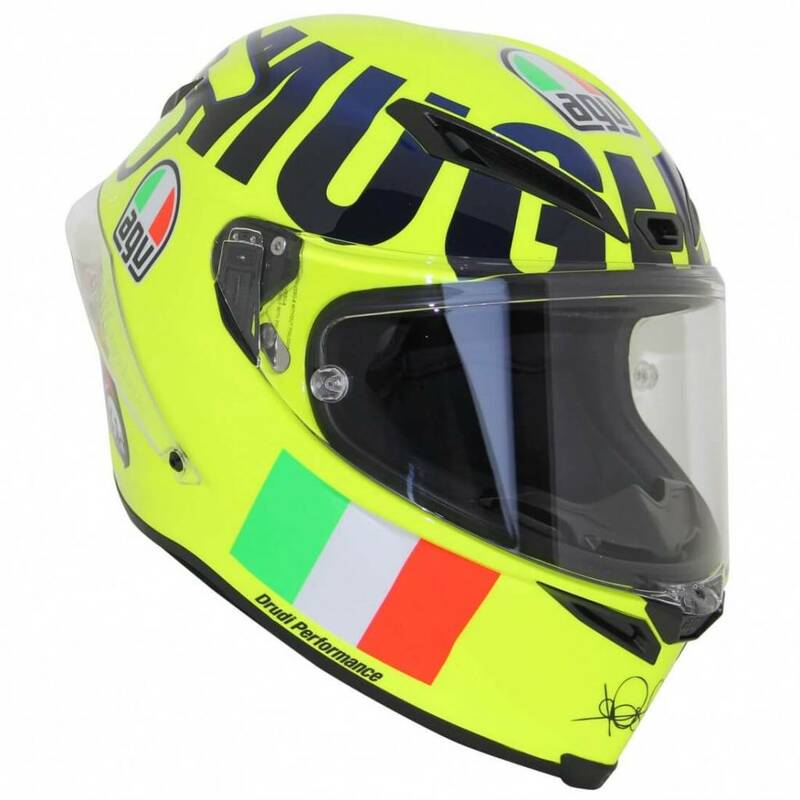 The helmet is delivered with a double-D closure. The Corsa R has an Integrated Ventilation System (IVS) with 5 large air inlets and 2 air outlets at the rear. The position of the top ventilation results in maximum ventilation. 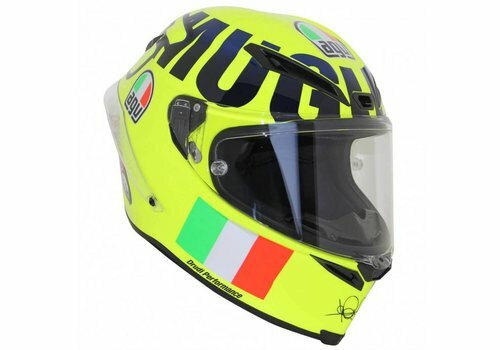 The internal air channels at the chin ensure that the air is well distributed over the visor surface. 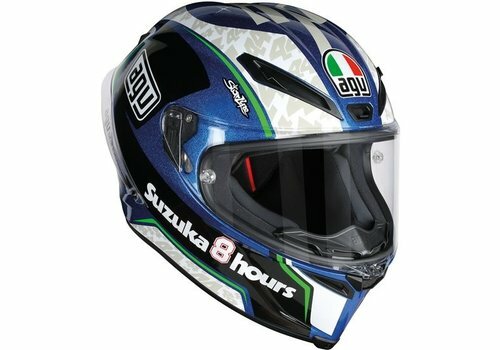 In terms of noise reduction, a chin guard and wind guide are included. Aerodynamics and lining have been greatly improved, which also contributes to reducing noise pollution. 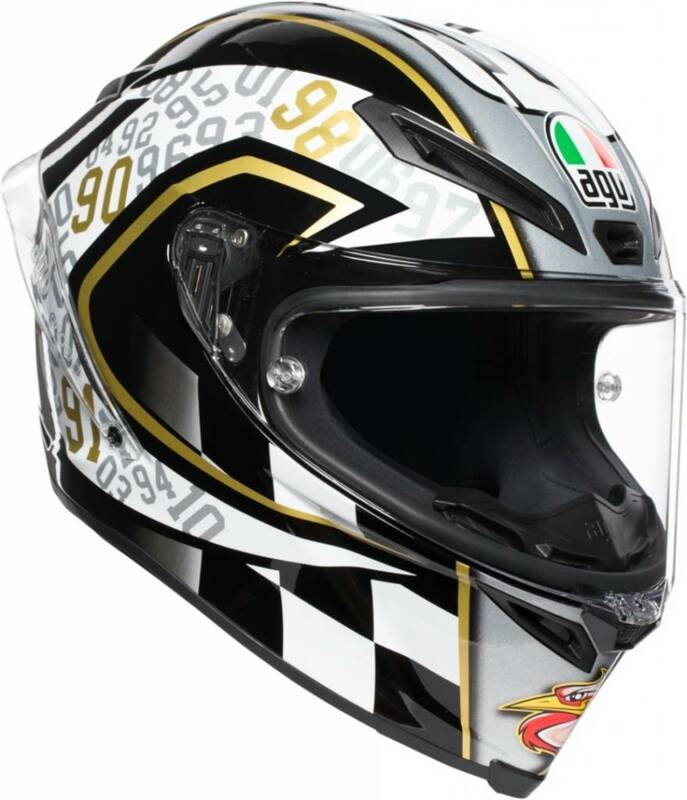 The different shell sizes ensure that the Corsa R fits closely to different Head shapes. This results in better isolation. 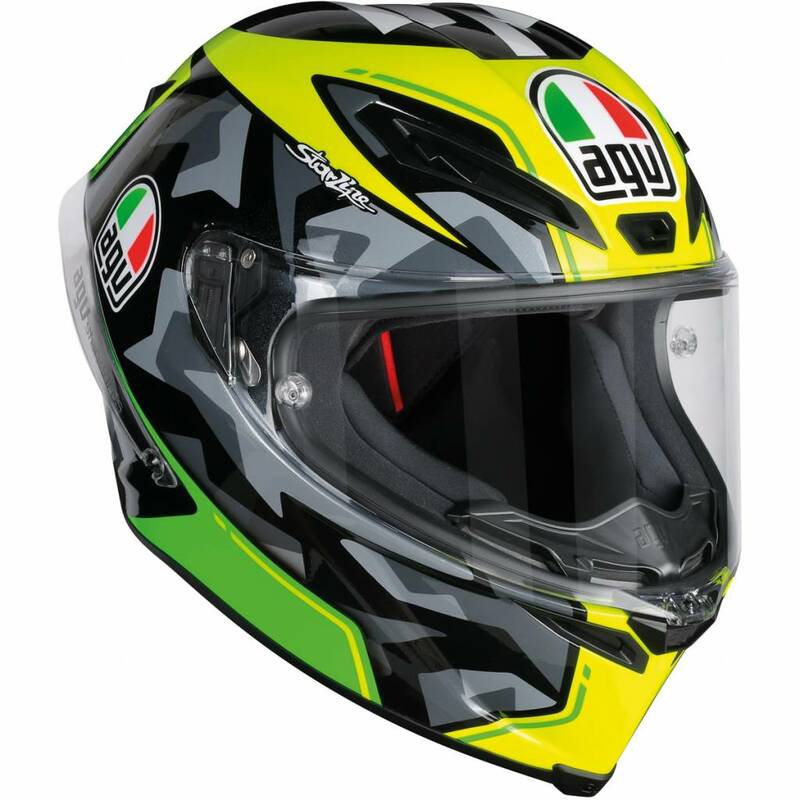 The AGV Corsa R comes with a New Class Optic 1 visor with 100% Max Vision Pinlock® 120, with a thickness of between 4 and 5 mm. This visor has anti-fog technology and a very wide field of view of 85 degrees vertical and 190 degrees horizontal. 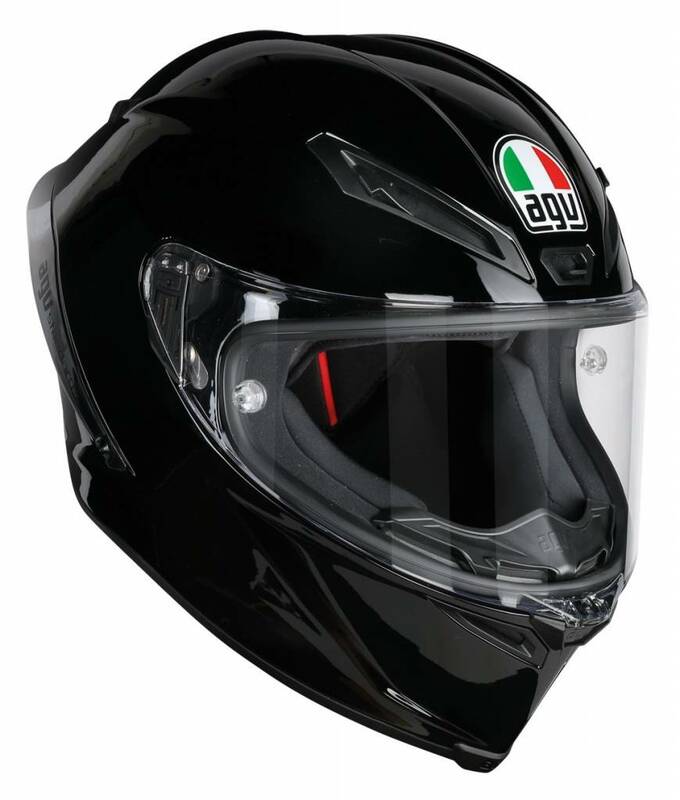 The visor Locking system (VLS) prevents unintentional opening of the visor. 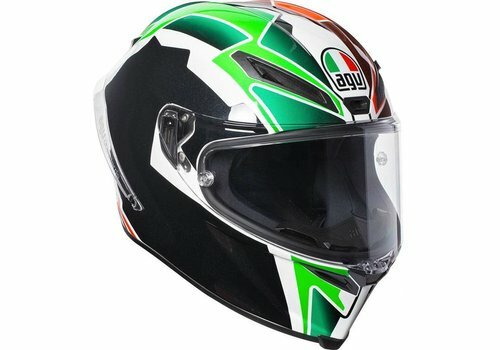 The Race 3 visor has the great advantage of two closing positions. 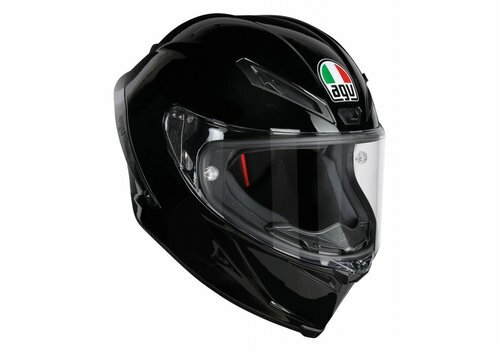 In the city you drive with a slightly open visor, and when you drive up the highway, you click the visor completely closed. 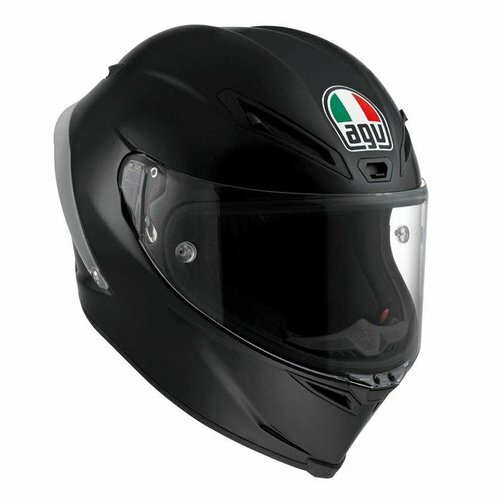 The Rapid Visor Release System makes it possible to quickly and easily replace the visor without tools. The improved double-sided lining consists of shalimar (warm) on one side and Ritmo (cool) textile on the other side. The soft shalimar fabric feels warm andis heat insulating. The fresh Ritmo fabric feels smooth and cool. The lining is antibacterial, washable and easily removable. The helmet feels very comfortable to the head.